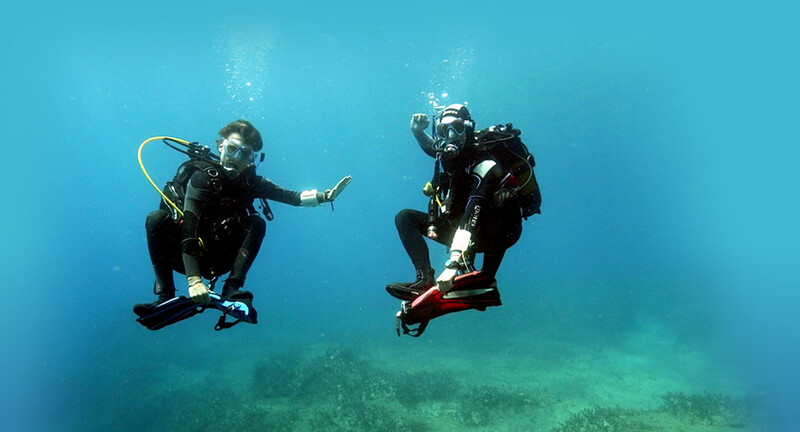 Gain experience in the blue by doing your PADI Deep Diver Specialty! Flabellinas are most commonly spotted in depths of 20-40 metres, a good reason to go deep diving! Deep diving from our boat! To increase the comfort and safety of deep diving, we recommend doing most of your deep dives from our boat. Each of these dive sites has something special to offer. To avoid making long surface swims, it is recommended to plan in some if not all of the PADI Deep Diver Specialty dives from our boat, the Philomena. Before we take you deep diving, we will do a day of diving with you to make sure your dive skills, in particular your buoyancy control, are good enough to safely go deep diving.